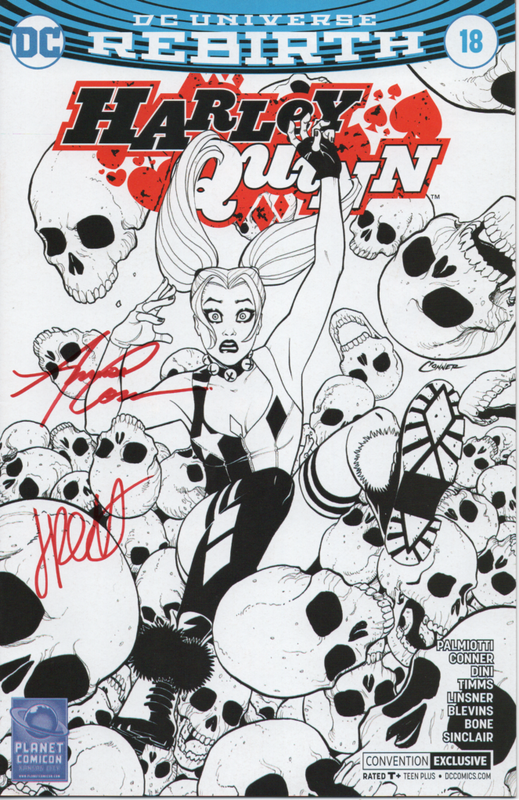 Harley Quinn #18 KC Planet Comic Con Convention Exclusive Cover! 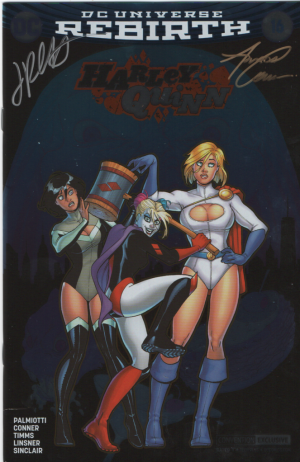 We have a limited number of Harley Quinn #18, “Deadly Sin” part two! How can Harley protect somebody who’s vanished into witness protection? Unfortunately, Harley Sinn has a lead that she doesn’t! And in “Harley Loves Joker” part two, Harley tries to make it up to her puddin’ after her colossal blunder—but The Joker’s wrath is not easily soothed! This version of the issue is the KC Planet ComicCon variant cover. Only sold at the convention. We were able to obtain a limited number of these books and sign them for our website.